A quiet week in the garden with job list made for the start of next term. 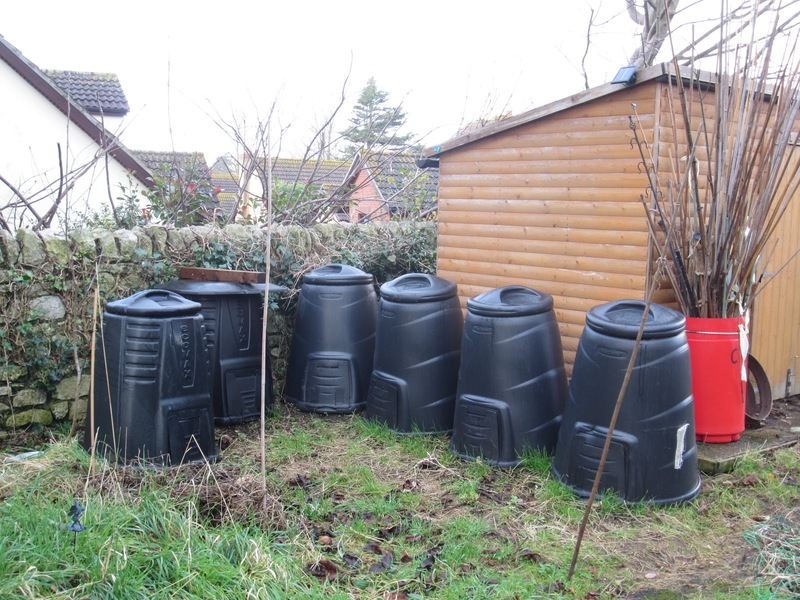 One of the first jobs will be the creation of a reed screen around the compost bins. Work has also started on the Aeolian Wind Organ. Inspired by this magnificent spectacle on the cliff top at Portland during the Harmonic Fields Exposition at the end of the Olympics we are going to create a smaller scale wind organ in the garden. 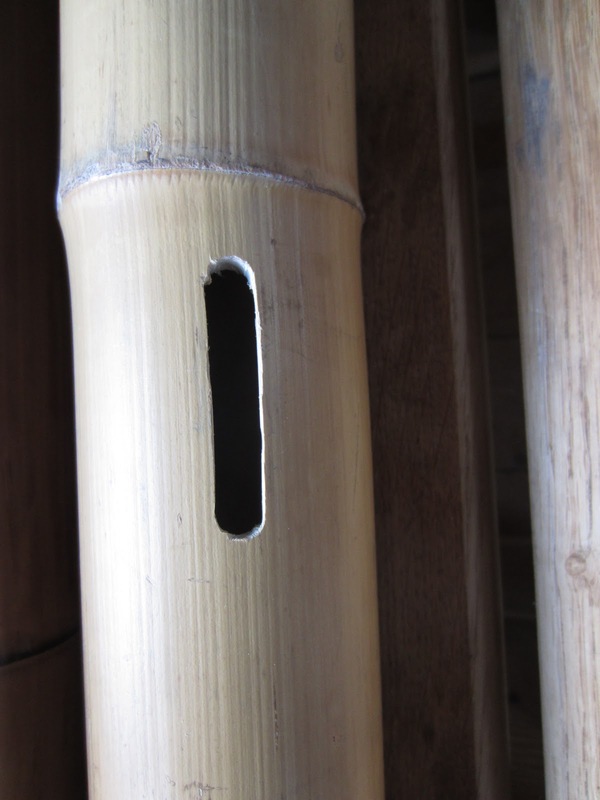 The slots are cut in the bamboo and the edges filed to 45 degrees. As the wind passes over the slots a beautiful gentle note is emitted. 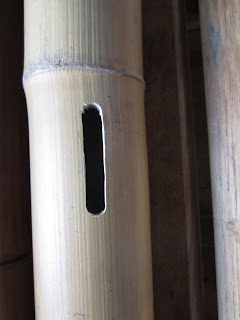 Only heard if the ear is positioned near to the bamboo. Little wildlife in the garden today except a cloud of Woodpigeons which took off on arrival. 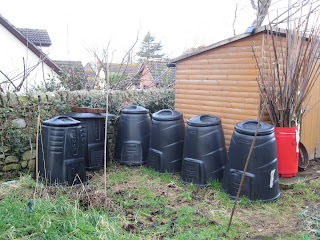 They have made short work of what was left of the purple sprouting plants. Over the last month the rainfall reading is 503mm. The strongest wind recorded was 23.5 mph and the strongest gust of wind was 37.4 mph. 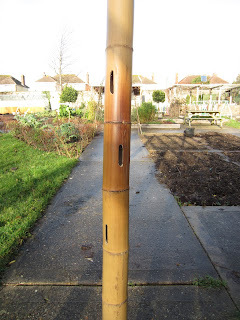 The lowest temperature at the school garden recorded was -1.2C and the highest temperature was +16C. The lowest windchill factor was -4.6C.